Barry Jenkins is a mood. More than story, more than technical merit, his movies succeed on a feel. Everything from the Nicholas Brittell scores to the lingering close-ups combine to create a style that feels uniquely his already. Following up Best Picture winner Moonlight seemed like an unenviable task. Moonlight was utterly mesmerizing and had big things to say. 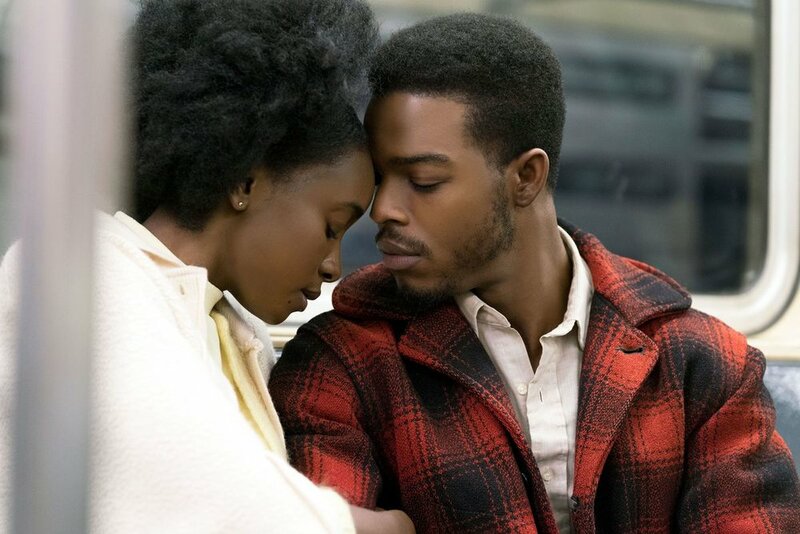 If Beale Street Could Talk is equally mesmerizing and somehow has even bigger things to say. Adapted from a James Baldwin novel of the same name, it is concerned with ideas that are hard to capture on-screen and yet it earnestly tries. Not everything works perfectly, but the overall effect is a movie you are happy to let wash over you and ingest whatever medicine it contains. Tish and Fonny have known each other their entire lives. Tish is a 19 year-old woman in 1970s Harlem, who suddenly finds herself pregnant. The baby’s father, Fonny, is in prison for a crime he didn’t commit and while Tish’s family is elated and happy to support her, Fonny’s more religious mother and sisters object. The film moves in and out of the present and the past, showing how the story reached this place and where it is headed next. Throughout, we get little windows into the supporting characters and characters that pop up briefly and steal scenes. The effect is something like a stage play, with distinct sets and shifting timelines that create a sensory haze that leaves you feeling like you’ve been somewhere instead of having been told a story. It won’t work for everyone, but it is clear that Jenkins is okay with that as this is about as confident a movie as you will ever see. The movie’s score, composed by Nicholas Brittell, feels thoroughly engrained in the images. The two feel so entwined that it’s hard to imagine either without the other. The score shifts from the whimsy of young love to the horrors of the criminal justice system so seamlessly that it pulls together what otherwise might seem like disparate pieces. Baldwin’s novel is more interested in its messaging than in the beats of a traditional linear story. The same can be said for Jenkins’ adaptation. Jenkins uses the beautiful images and deep-seated emotions to drive home the damage done when the criminal justice system chews through people and their families. It uses the backdrop of unbridled love to comment on the way communities have been ravaged by unjust sentences without any regard for how the lives around those sentences are impacted. While the messaging is the main event, there is so much that is adding to the strength of the experience. Regina King and Bryan Tyree Henry deserve special notice for the strength of their performances, but the performances are so uniformly good that they lend a lot of heart to the story. The only people likely to be disappointed by the film are those expecting fireworks. There are certainly highs, but the experience is more accurately described as a hum. Regardless of how you describe it, you will hear Beale Streetand everything it has to say.